The freshness is the key for taste of active squid. The delicate freshness changes the taste and mouthfeel. Transparent yet beautiful, and crunchy mouthfeel is the very taste brought by the nature. 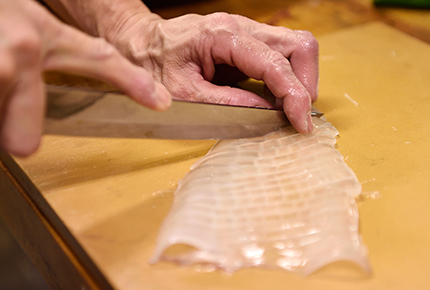 Squid used in the cuisine is put into the sea water tank carefully after landing to keep the freshness, and cooked. These particular cares moment by moment can make tasteful active squid meals. Freshness decides crunchy and sweetness. The first-class taste can possible only by professional cook. In the favorable environment, you can look the Bay of Yobuko, the cuisine provides calm seats, and you can feel the salt tang of the sea increase your travel mind. The location of Yobuko many ships come and go will give you the busy and noisy days. 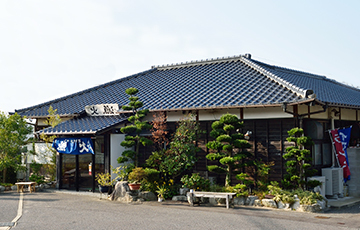 You must come to Isaribi cuisine when you travel to Yobuko. In Isaribi, we provide single room for private use and a great hall can meet up to 120 guests. So, you can use Isaribi for any purposes such as receptions and banquets. 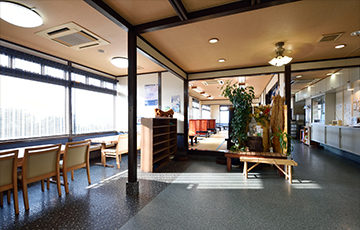 Also Isaribi provides Japanese style room and tables for families for meal. with comfortable mood.